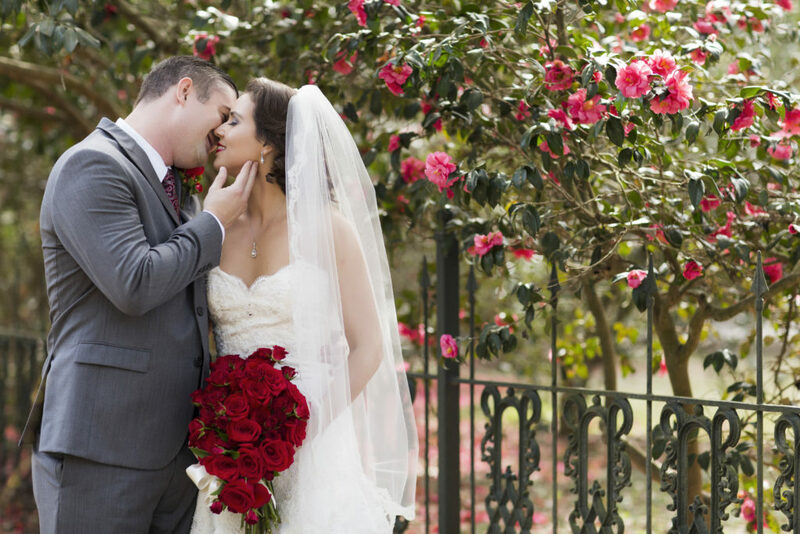 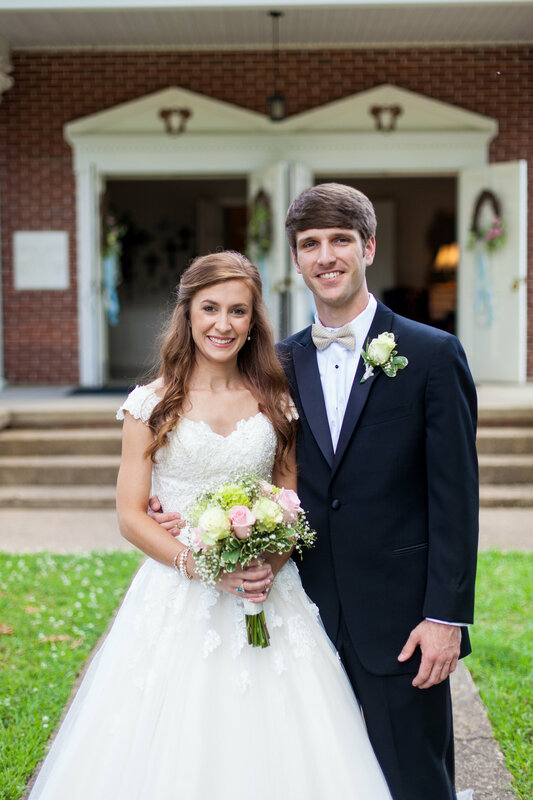 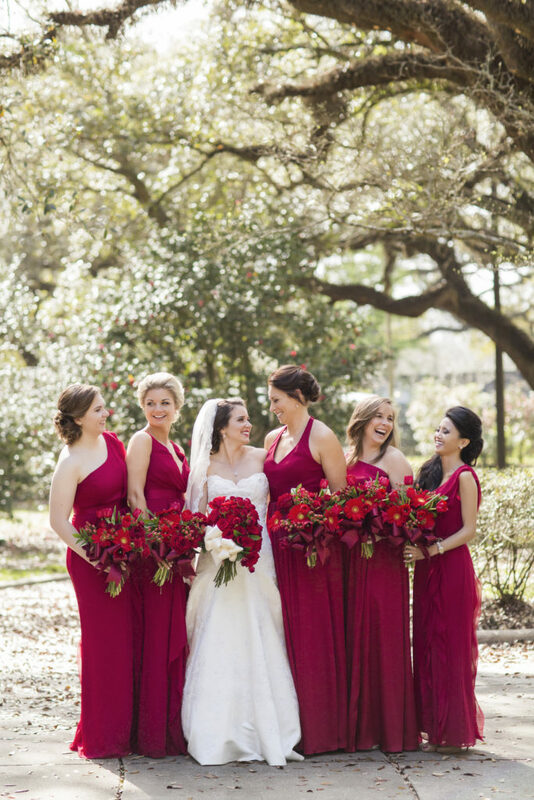 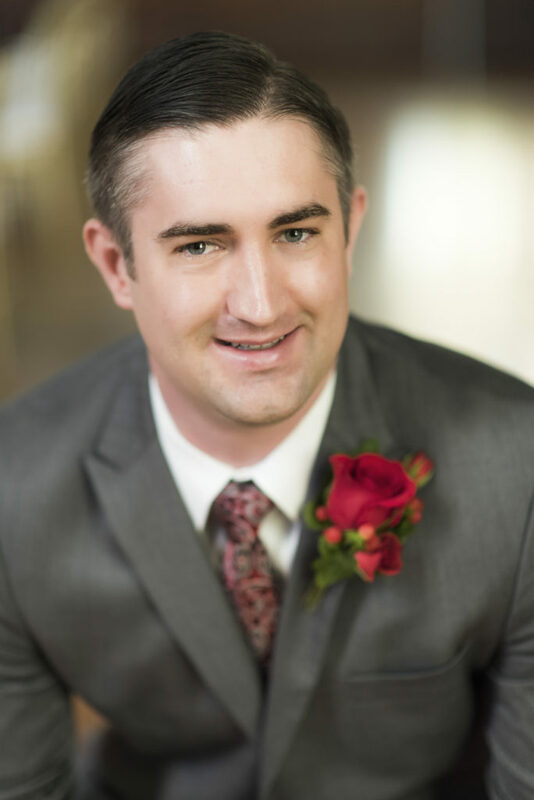 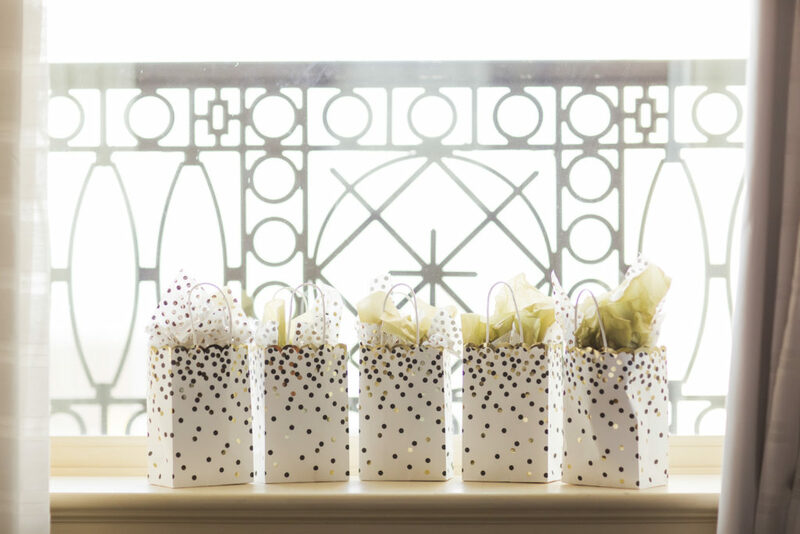 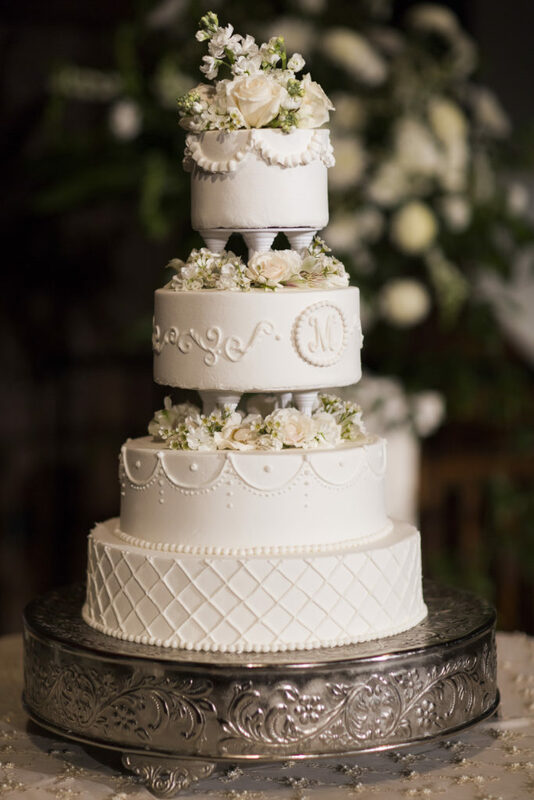 We are in love with the wedding of Rachael Prine and James Meaders which was held at The Steeple in downtown Mobile, one of our favorite Mobile venues. 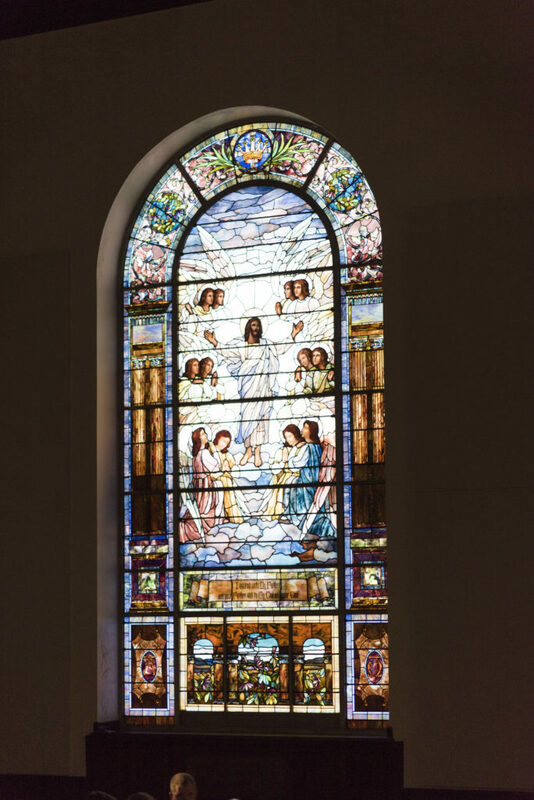 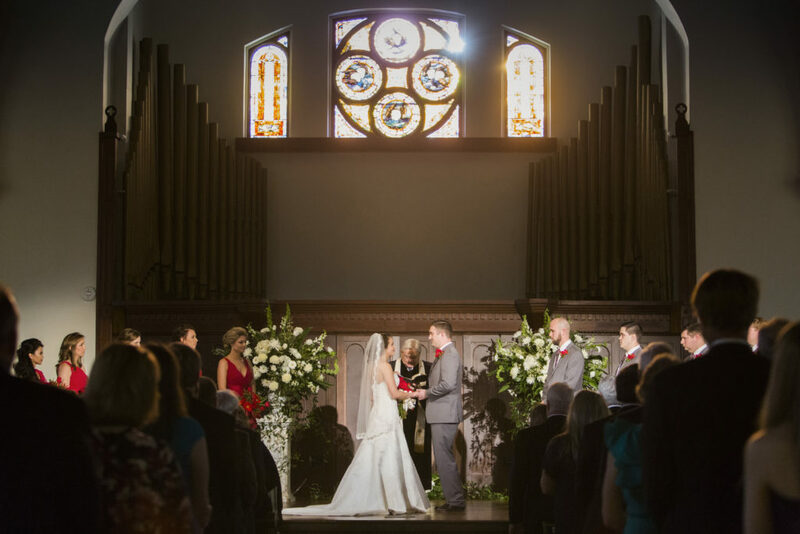 The historic church has been renovated as a music and event venue with antique pine floors and mahogany beams that gleam beneath Tiffany style stained glass windows. 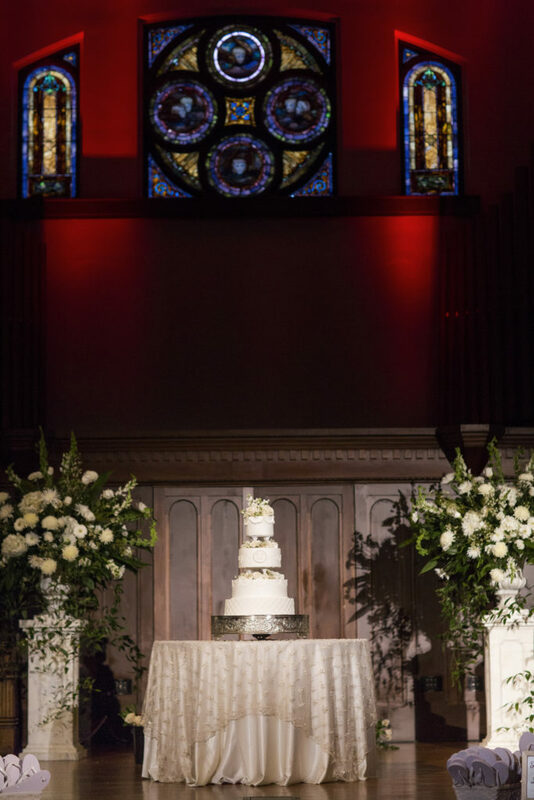 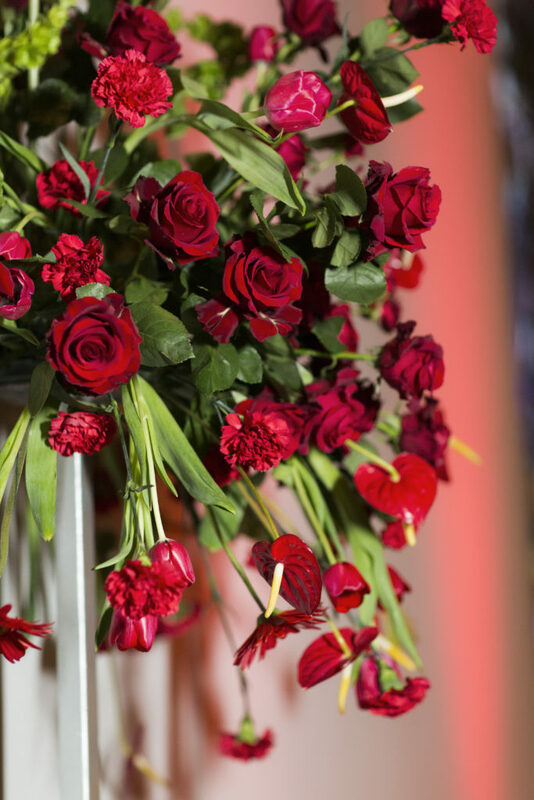 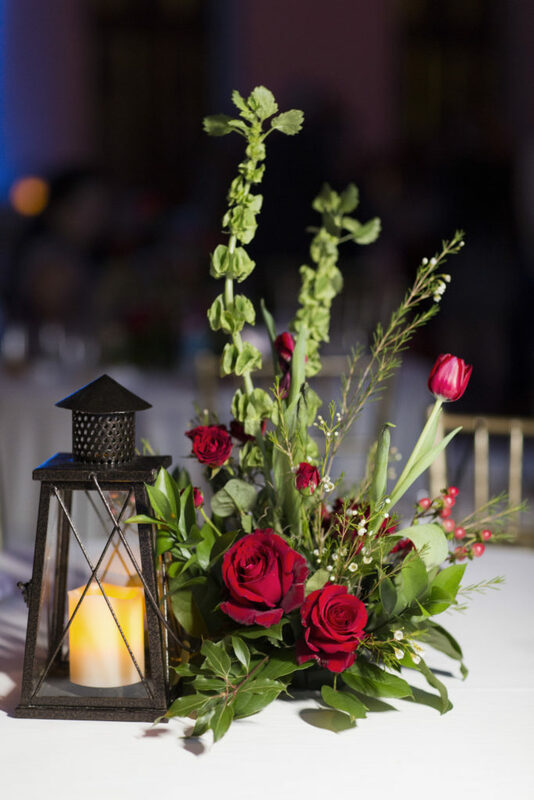 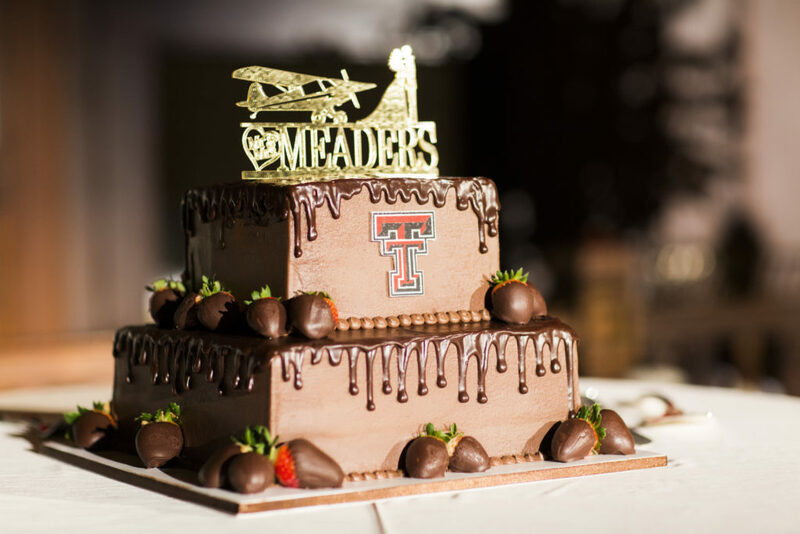 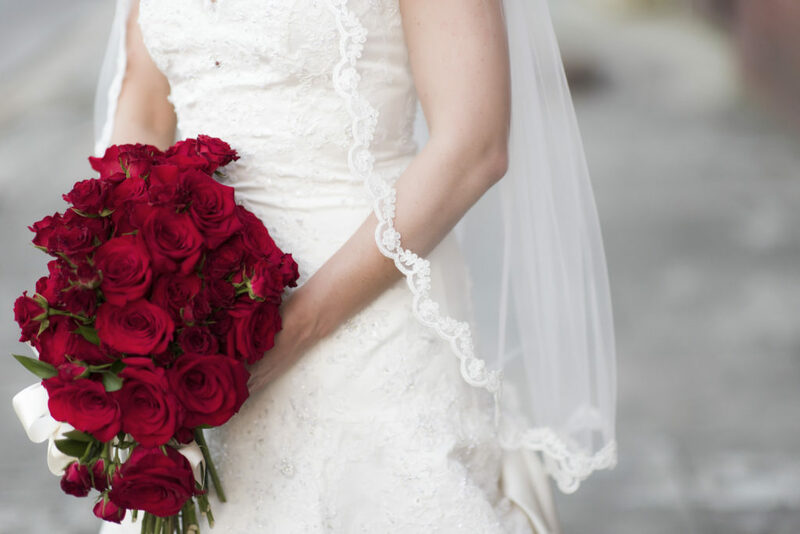 The couple chose a deep scarlet, white and gray palette with dramatic red up-lighting along the perimeter of the space, a beautiful four tier cake set on the stage as a perfect focal point, and sprays of deep crimson roses. 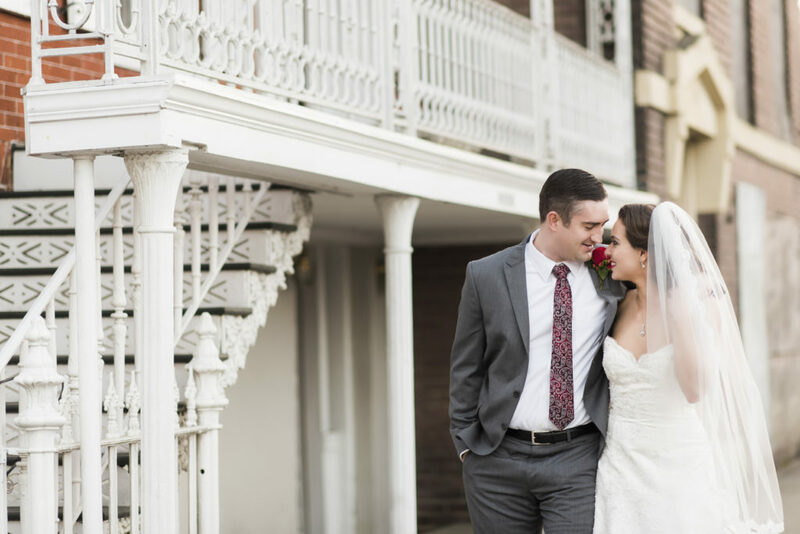 We adore the groom’s steel-gray suit paired with a paisley tie in the event palette for a punch of color. 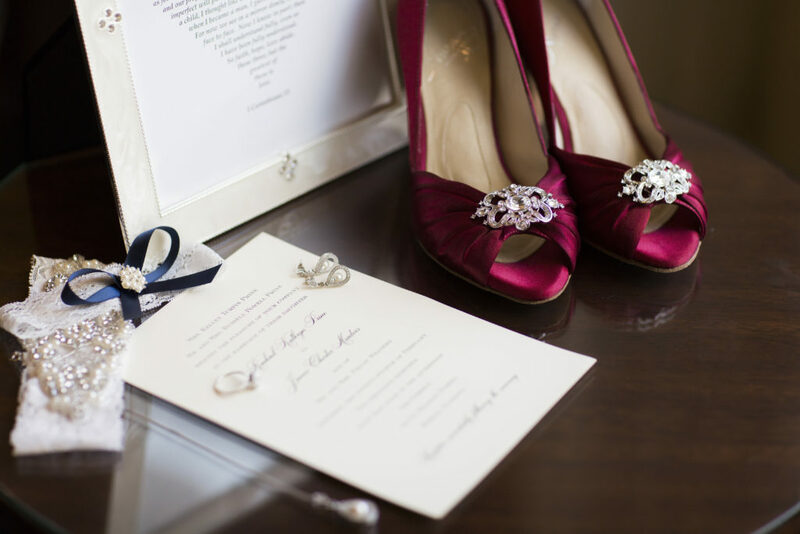 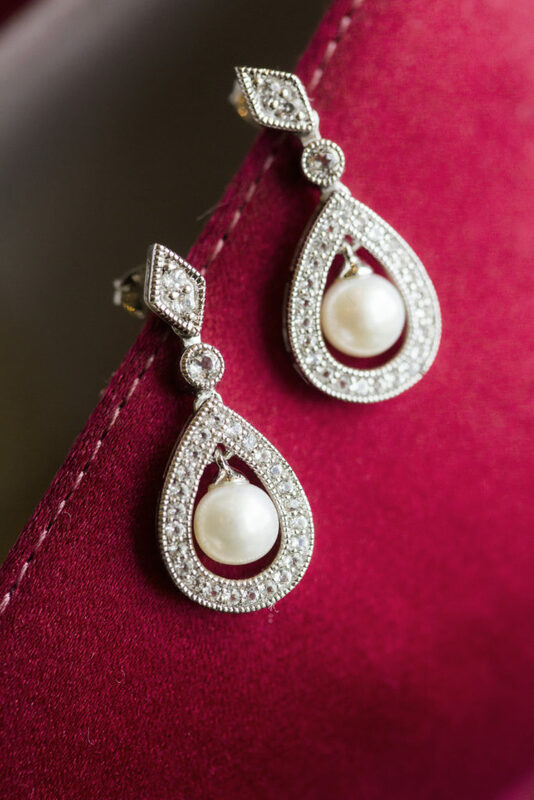 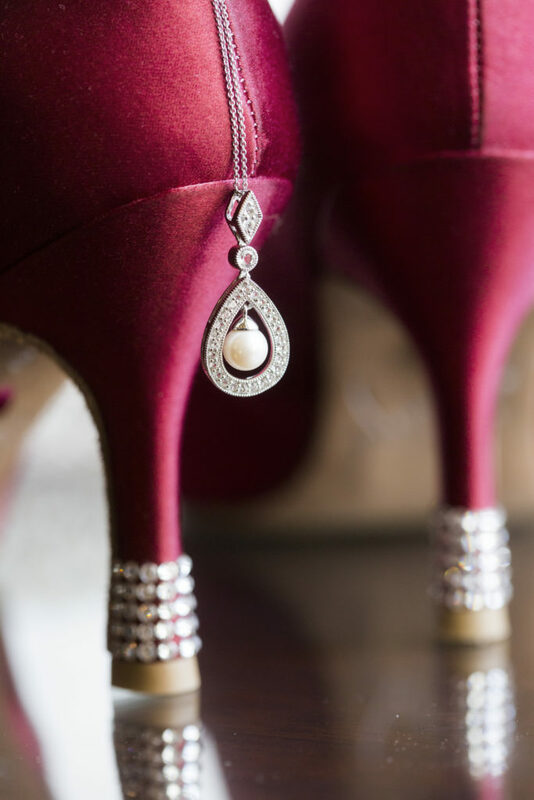 The bride’s Angela Nuran scarlet satin peep toe pumps with rhinestone detailing are swoon-worthy and add that kick of personality to her classic bridal look. 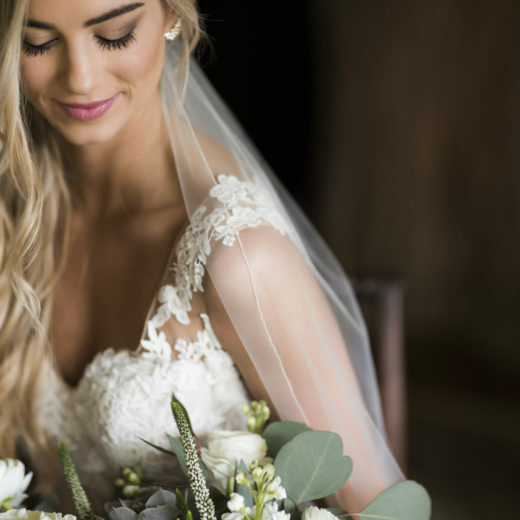 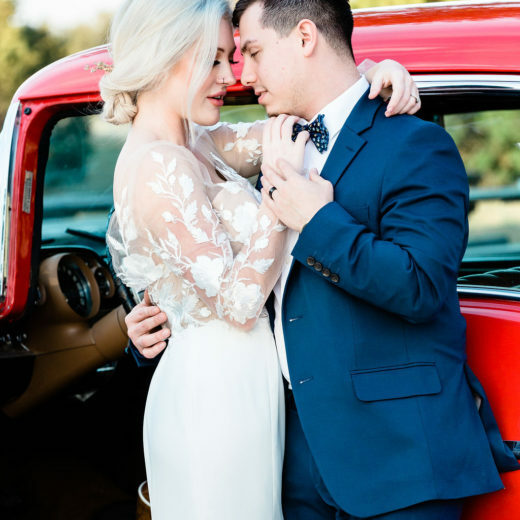 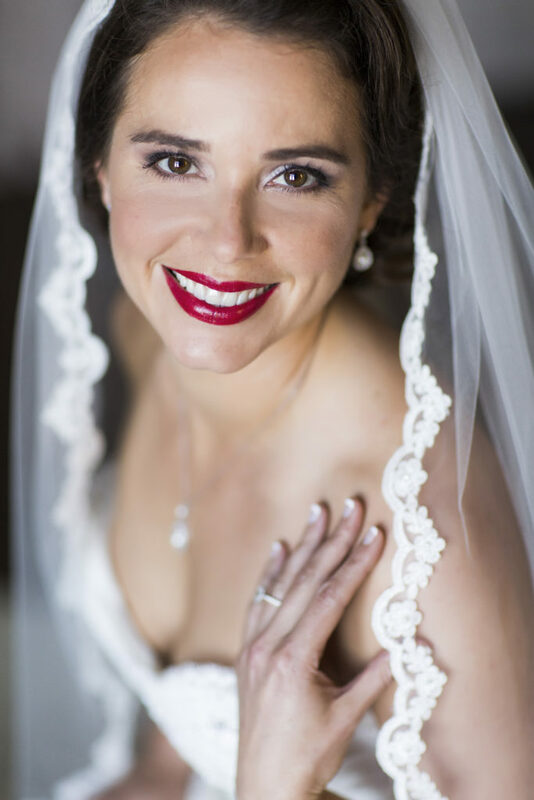 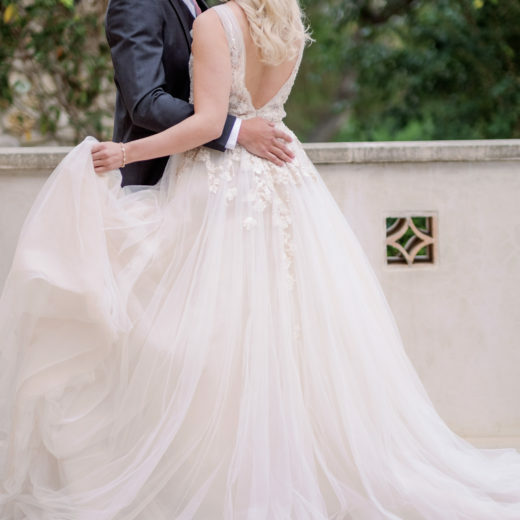 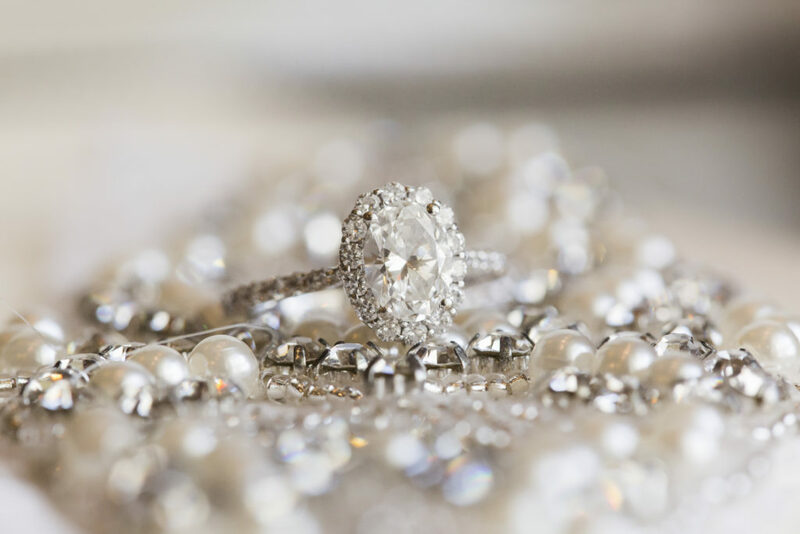 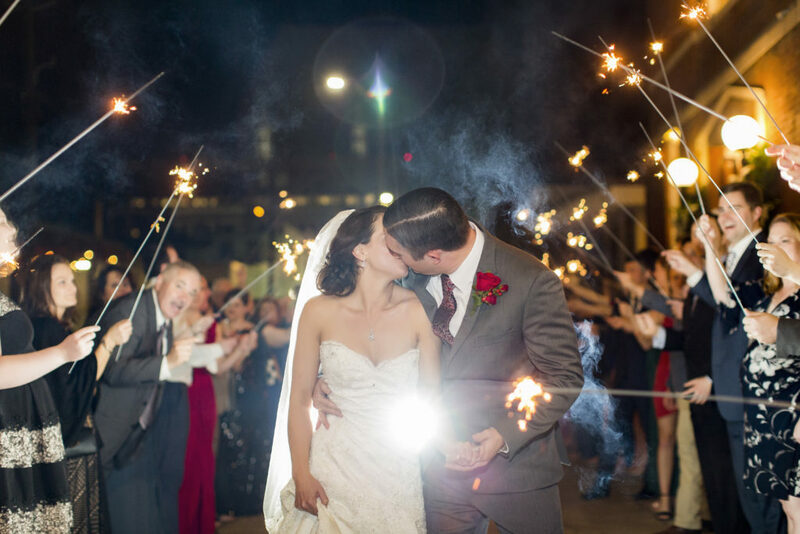 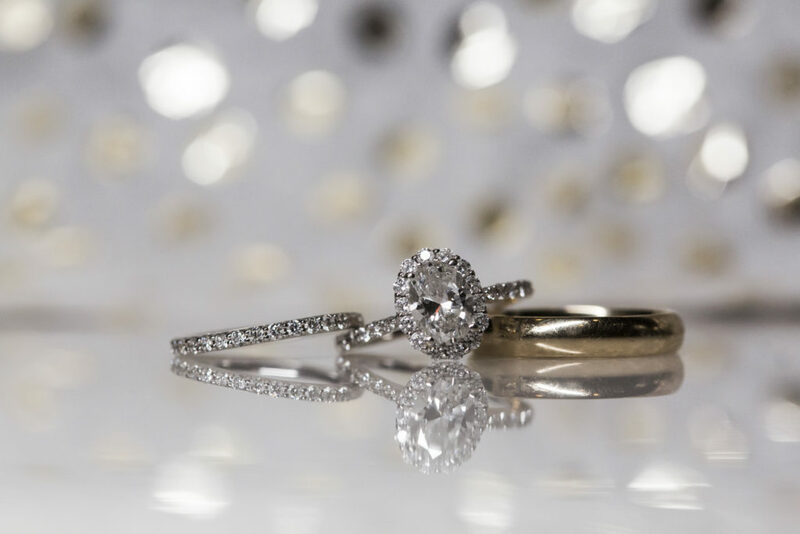 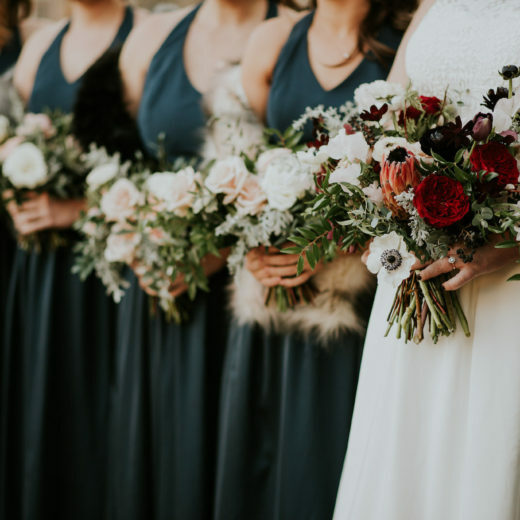 Aislinn Kate Photography expertly captured all the carefully selected details of the event, and her shots of those intimate moments between these two beautiful newlyweds are breathtaking.